OMSNashville (OMSN) has proudly been in practice since 1988 in the Nashville area. Striving to provide the highest quality of care to all patients and with great appreciation of the relationships established with our referring doctors, OMSN provides free biannual Continuing Education Seminars to express our gratitude to the dental community. Join us for our 2019 Seminars! The 2019 OMSNashville Spring Seminar will feature speaker Dr. Sam Low. Dr. Low provides dentists and dental hygienists with the tools needed for successfully managing the periodontal patient in general and periodontal practices. As an associate faculty member of the L.D. 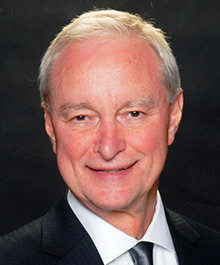 Pankey Institute for 20 years and Professor Emeritus, University of Florida, College of Dentistry, Dr. Low’s many years’ experience training dental professionals is evident in his straightforward, informative, and entertaining teaching style. Dr. Low’s presentations focus on creating positive interactions between dentists, periodontists, and dental hygienists through communication skills and continuous quality improvement to enhance esthetics, tooth retention, and implant placement. You will receive 5 CE credit hours for attending this lecture. The 2019 OMSNashville Fall Seminar with feature The Stutman Switalski Group. 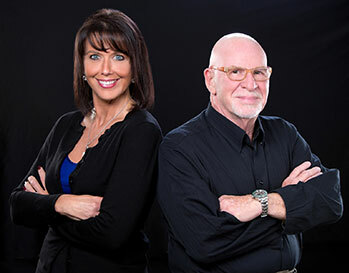 Bob Stutman and Jodi Debbrecht Switalski are nationally acclaimed speakers and consultants that develop a plan-of-action to reverse the most devastating drug epidemic in American history. Bob Stutman, formerly “the most famous narc in America,” made a 25 year career as one of America’s highest profile DEA Special Agents. As head of DEA’s New York office, Bob has been targeted by Pablo Escobar, a drug consultant for CBS and PBS News, consultant to three presidents for the war on drugs, and was awarded New York City Police Department’s “Man of the Year” and “Outstanding Speaker” accolades. His autobiography “Dead on Delivery” was the basis for the television movie “Mob Justice.” Jodi Debbrecht Switalski, often called a “warrior” and “savage advocate,” is a groundbreaking treatment court judge, a metro Detroit felony prosecutor with a perfect trial record, and received the “Highest Ranked Presenter” and “Integrity in Our Communities” awards. She now practices law, including medical malpractice litigation, and consults with medical and dental groups around the country. Jodi has consulted on documentaries for PBS and HBO. They are dynamic and riveting speakers that will leave you speechless. You will receive 5 CE credit hours for attending this lecture. This lecture will also satisfy the 2 hour Chemical Dependency requirement.